Josh Groth is a photographer that lives and works outside of Milwaukee. Prior to finding solemn looking through the viewfinder, Josh was curious about the opposite side of the lens. His earlier days were spent watching his father delicately trace over floor plans with black ink and tracing paper. 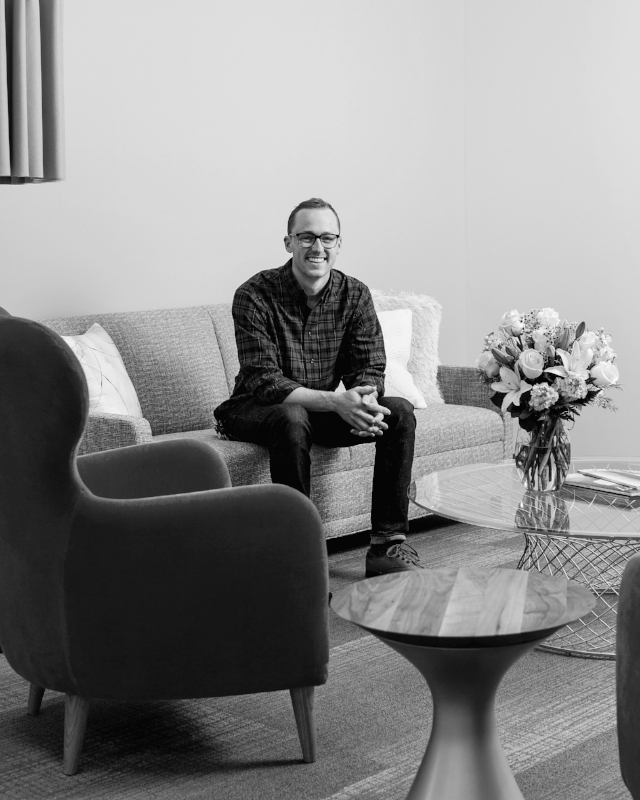 Josh's curiosity in architecture progressed in grade school while emptying the trash and sweeping the floors at his father's architectural firm. He worked his way into CAD and started designing under the wings of architects. Gears started spinning when he acquired his first SLR, an Olympus OM-1. Though his love for photography jumped past architecture, he never let go from his roots. The encapsulating career as photographer was solidified by the smell of the darkroom developer, the sound of the aperture and focus, and the creation of an image. When Josh isn't found behind his camera, you can find him working on his car(s) with a wrench in hand and a grease covered face. Josh is available nationwide and keeps his passport current; he travels with camera and drone.